-Authentic and Edgy Content, that speaks very RAW about life experience. -Very Reality Based Content works best for the under 35 crowd. -Creating content that is based on real life experience and irony in life… examples see Louie CK, Marc Maron and HeadGum Podcast Network. -Really easy to set up and available on Spreaker.com/Spreaker apps/Embedded Player. Chapters are visual markers, taking the form of images, text, and links, that highlight different parts of your episode. Through the CMS, they can be placed along specific points of the waveform by clicking on “+” and adding all the relevant information you’d like your listener to know. Thanks Dave for all the follow up here. I will mention your thoughts here on the show next week. One last thing I just realized. Only the mobile app shows who "liked" the show but did not comment. There is no where on the desktop version, other than the little black heart under SLS93 is there any indication of who or how many people "liked" this show. I try to engage younger listeners by keeping my show a half hour or less. I try to keep my energy up and the show lively. I'll engage with anyone who comments or emails my show. I try not to sound too much like an old man and say things like "kids today". I usually have more than one topic or story on my show so there is a variety of things to sink your teeth into. I keep it very honest and I show humility and try to be humble, yet confident I know how I feel. Also I know many younger stand up comedians from my days as a stand up and I talk to then about who they listen to and what shows they may be guesting on. I'm working on the Twitter as I know the kids love that. I comment all over Facebook, and Twitter and wherever I can spreading my name and my shows name out there. Btw. I'm 53. From Saugerties NY. Pronounced saw-ger-tease new yawk. Android user. 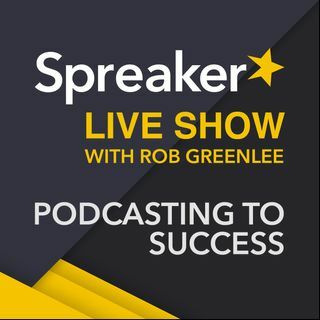 I listen to most of my podcasts via the Spreaker app unless it's unavailable. Recently two podcasts I listened to were no longer available and I had to go elsewhere to find them. Not sure why they left. I'm gonna email them and ask. Rob my last name is spelled Kanyan and pronounced like the Grand Canyon. Thanks for reading my letter Rob, and thanks for the mention. On the mobile as I hold the phone in my hand I see show Icons at the left side and top of my screen. When I touch the icons to the left of the comments it brings me to that podcasters Spreaker page. When I tap the icons at the top of my screen where it says "these users liked it" under the episode title nothing happens. Not everyone who "likes" an episode comments and vice versa. It's not a huge deal but I'm always curious who else is listening to the same shows I'm listening to. On the mobile the icons at the top of the screen are much smaller and even with my reading glasses on I can't make out who's podcast it is. Hope that helps explain. My E-Mail is valid. I know someone else who does not get the notifications either. Thanks, you guys. I was hoping they would offer to donate, but not. You can sign up in the US now! I did yesterday. Linda, I do get most of the listeners to this show from Spreaker listeners. Very few listeners on You Tube before I left summer 2015. Facebook steady but not a lot of new listeners. Twitter about the same. Most of my listeners come directly from Spreaker or my web site. I do not use SnapChat or Instagram or anything like that. Facebook friends may change their name and then you have no idea who they are. I hate Facebook.... I hear Periscope is gaining popularity. I just joined Vid.me to add to our audience. It is a great podcast listening app. Thanks! I have Spreaker app on Android for quite a while. Thanks for listening today. Agree, Linda! Younger listeners love gaming and anime.